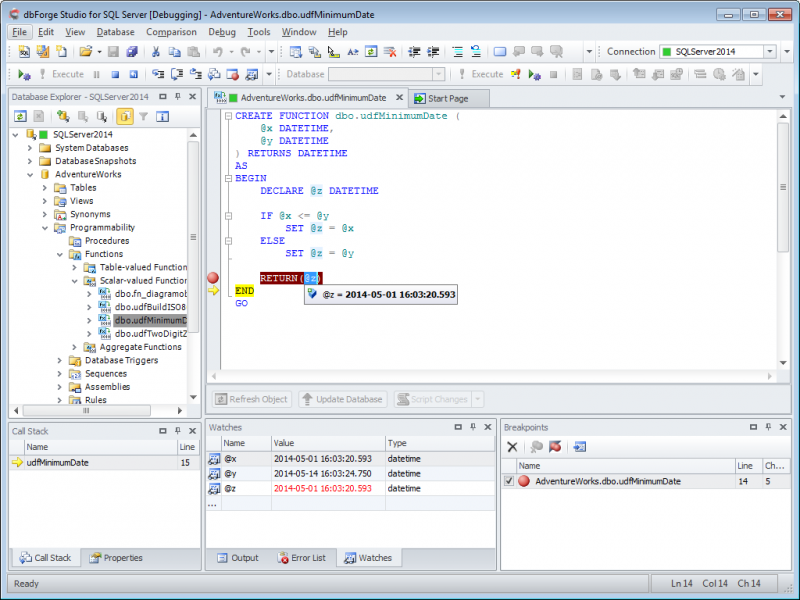 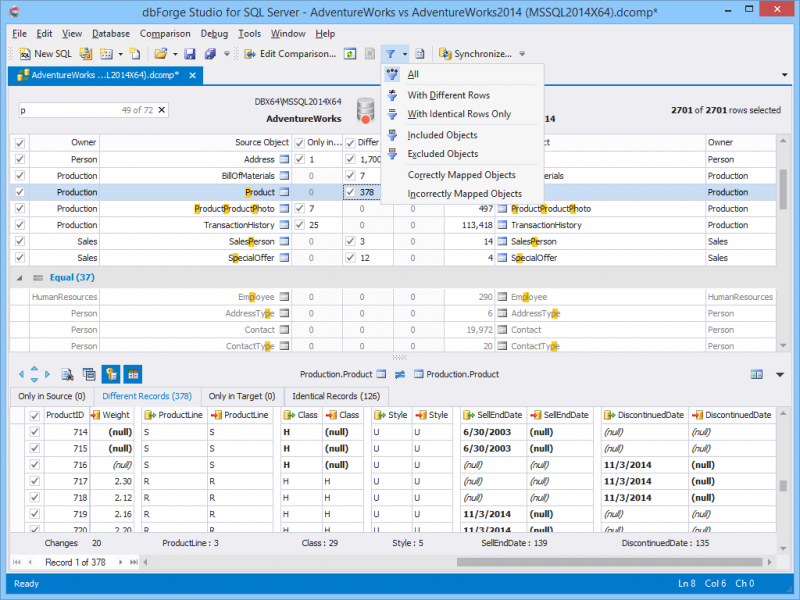 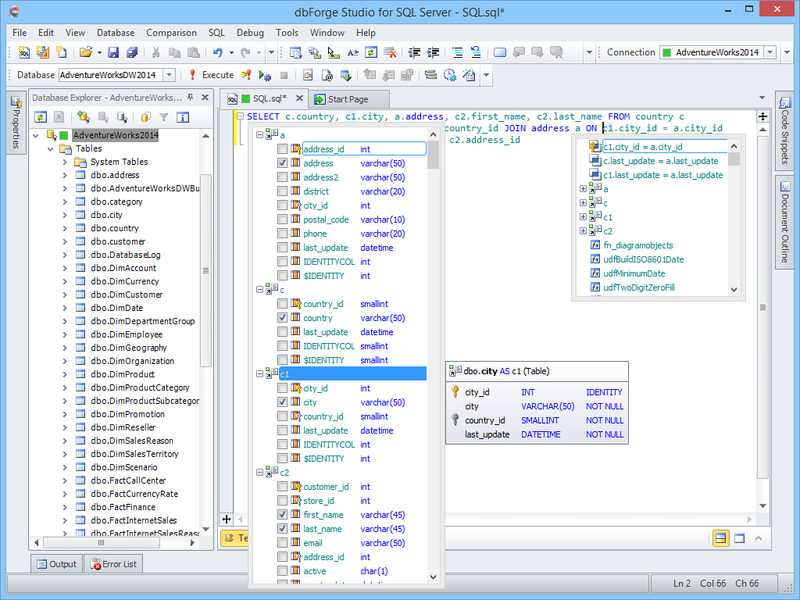 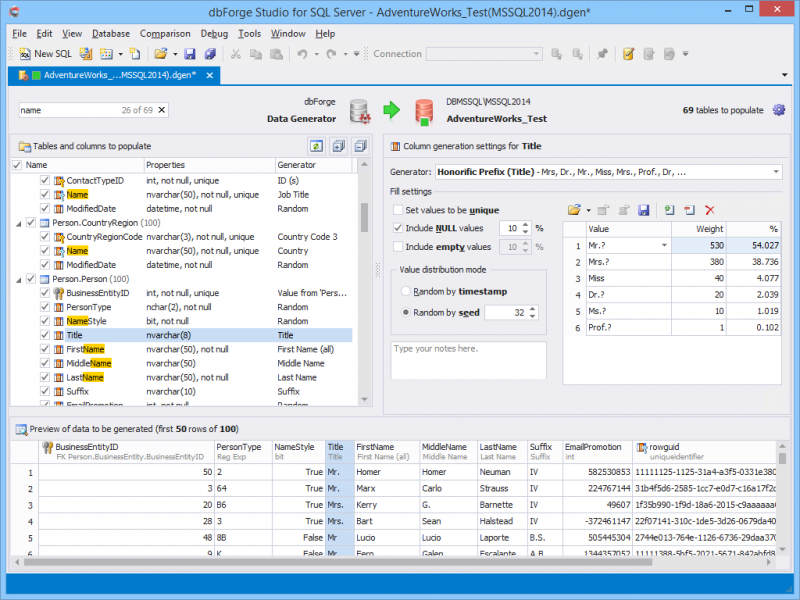 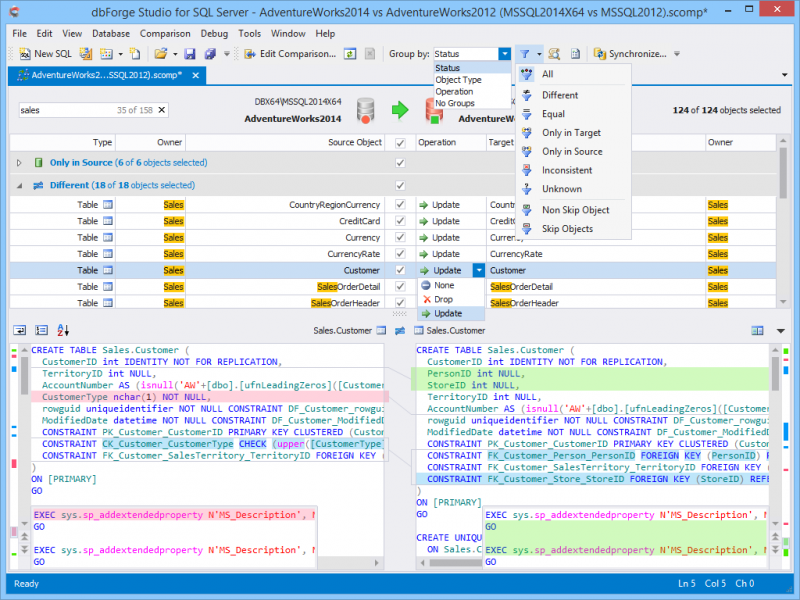 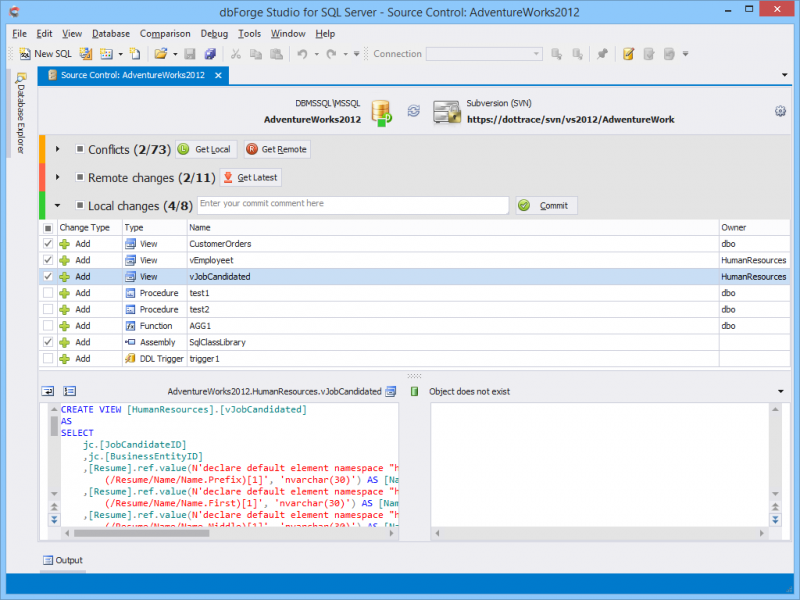 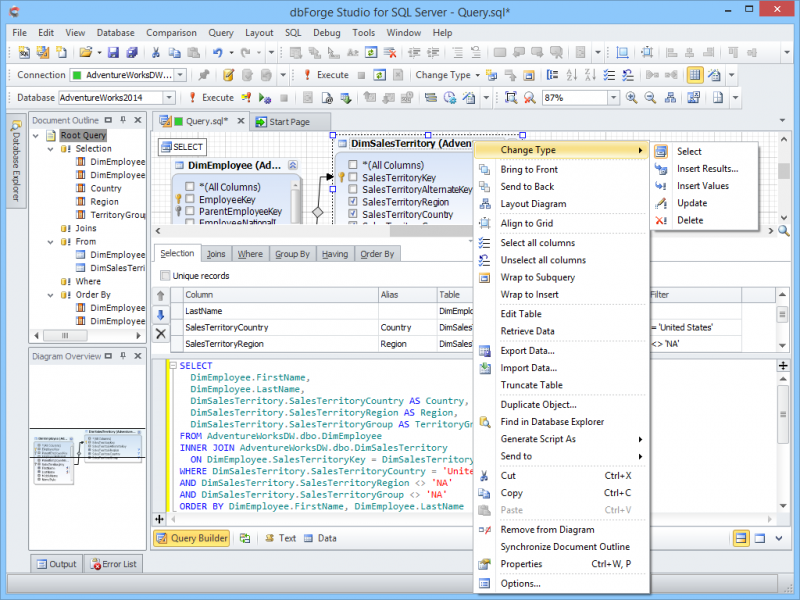 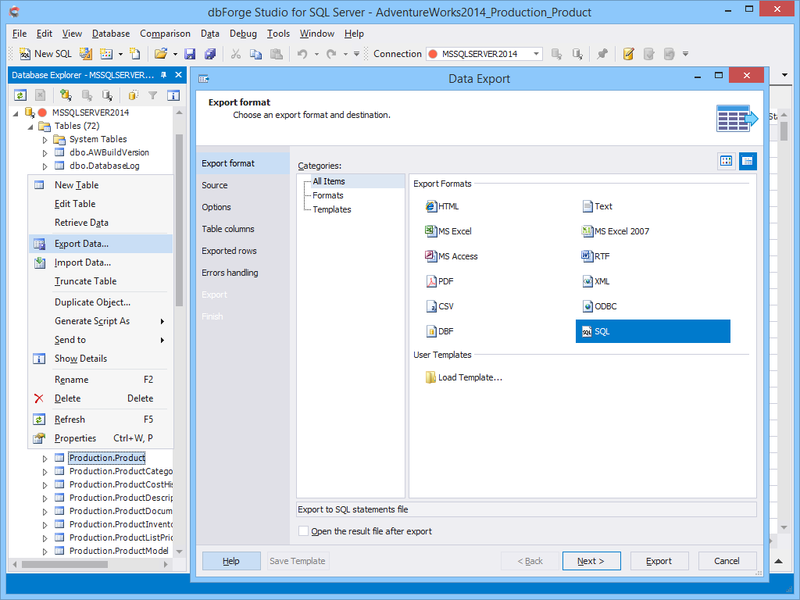 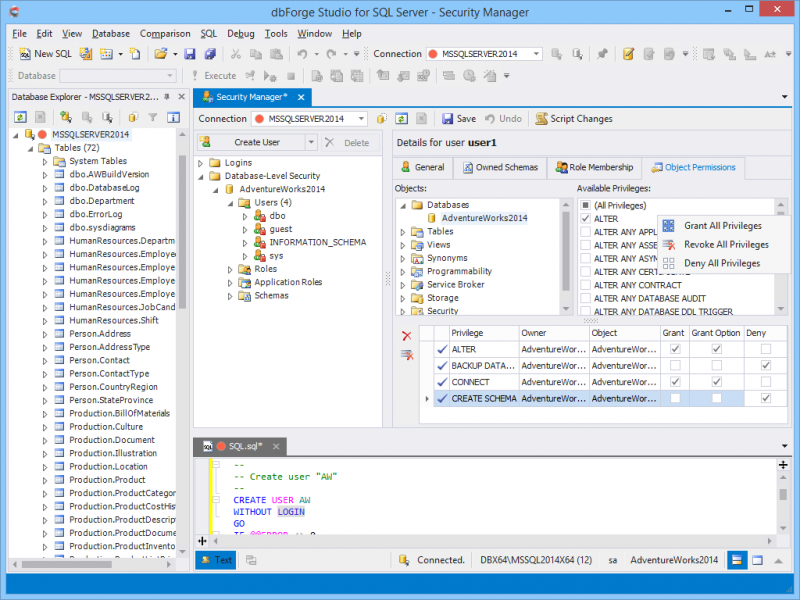 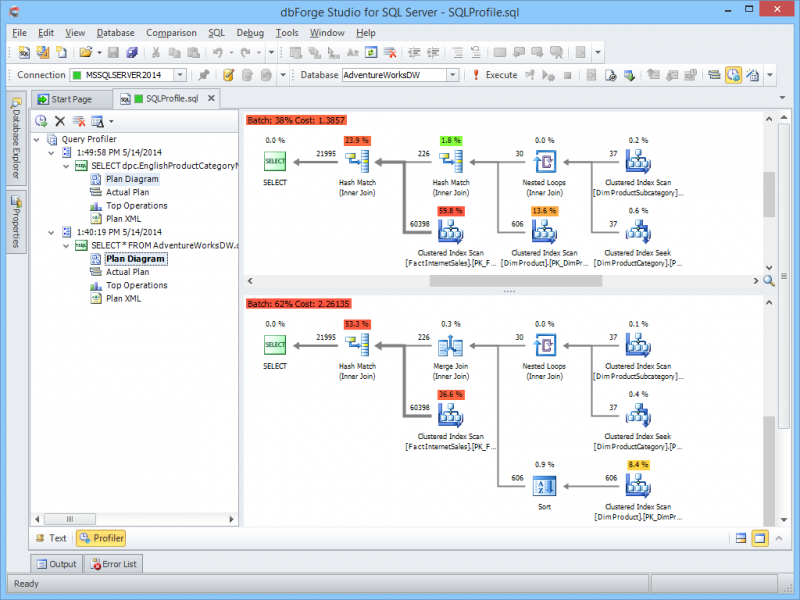 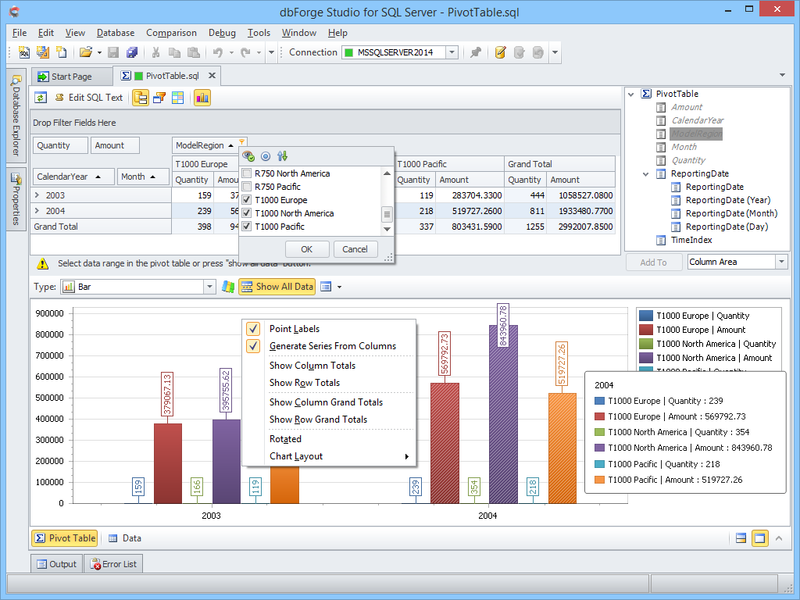 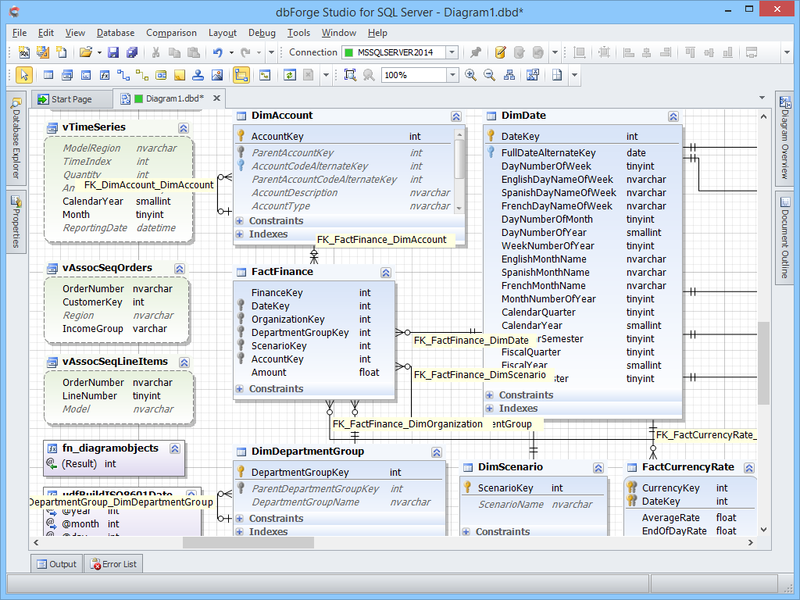 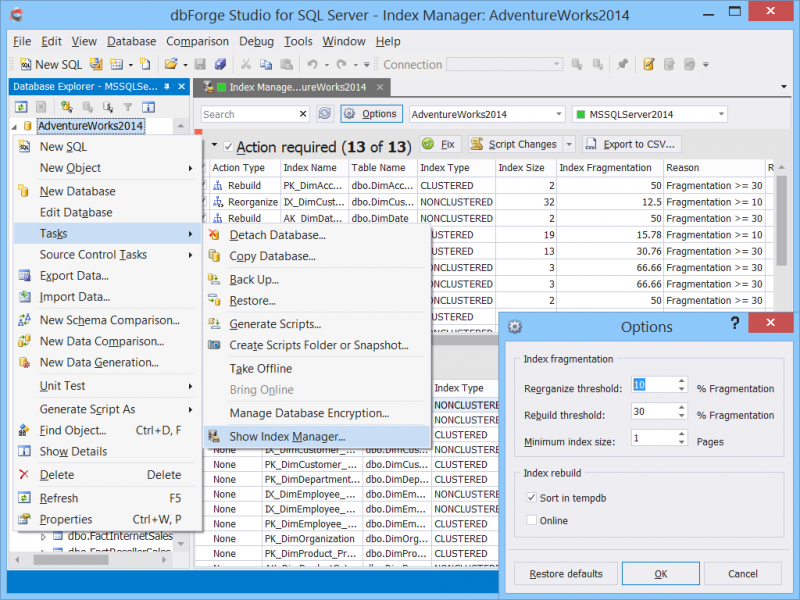 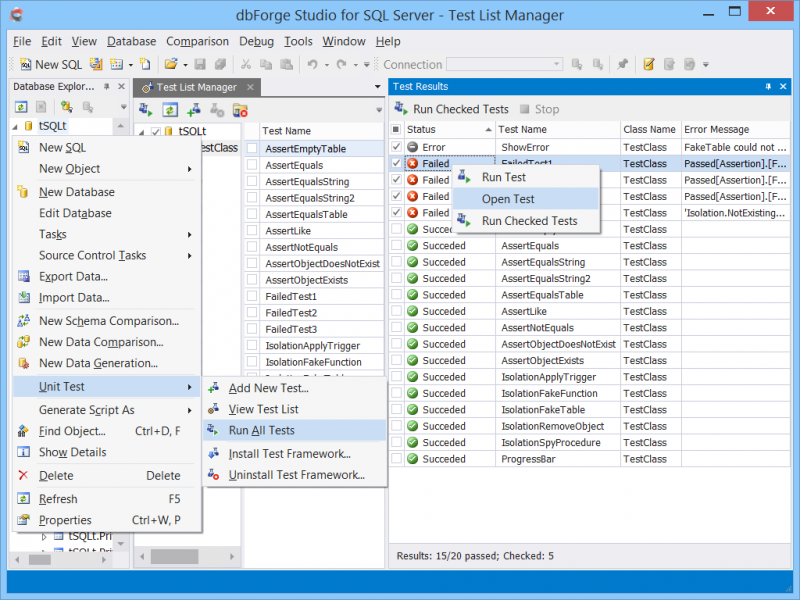 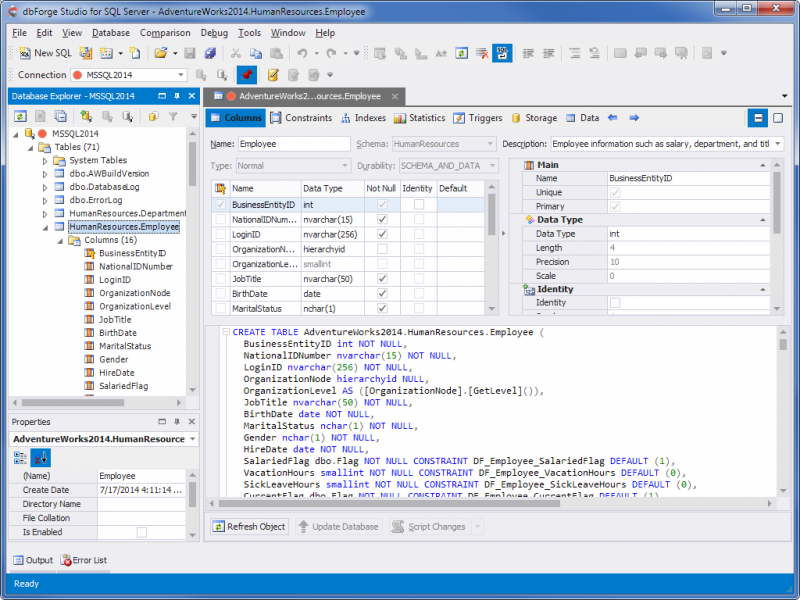 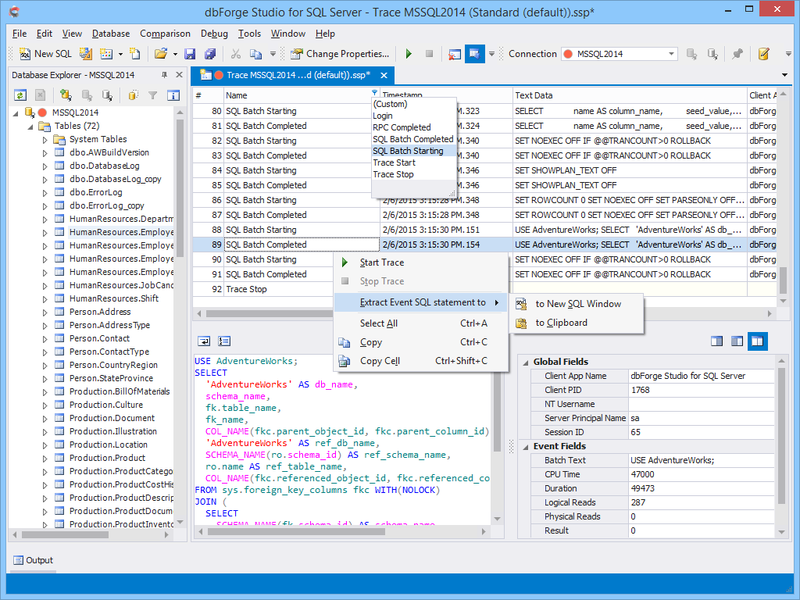 dbForge Studio for SQL Server is a powerful IDE for SQL Server management, administration, development, data reporting and analysis. The tool will help SQL developers to perform complex database changes, version-control database changes in popular source control systems, and speed up routine tasks. You don't need to waste your time to search for and purchase SSMS plugins across the internet to get your work done.